Let’s face it, the larger your family the more space you need in a tent when you are camping. 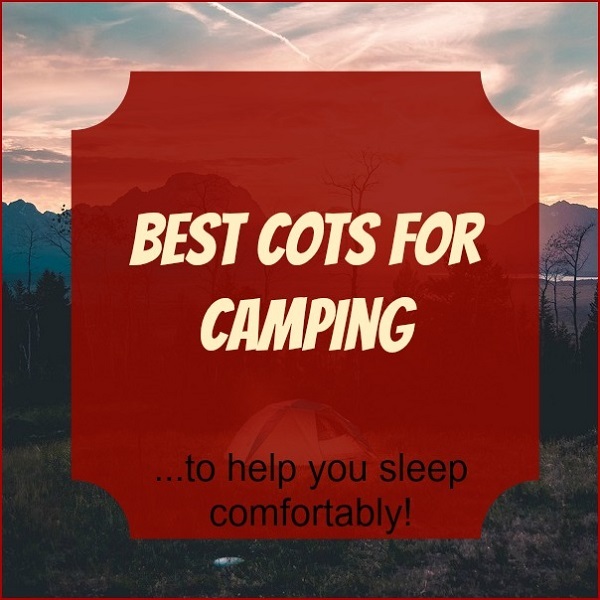 But, finding the right 6 to 8 Person camping tents to accommodate 6 or 8 people and still be able to put up on your campsite can be a challenge. When it comes to tents my philosophy has always been “the bigger the better.” Of course having camped for roughly 40 years, we normally camp for 2 weeks to a month at a time. So our tent and campsite becomes our home away from home, and at my age sleeping on the ground in a sleeping bag is no longer an attractive option. Currently two of us spend our camping time in an 8 man 10’ X 20’ tent that allows us to sleep on a queen size air mattress and use the other side of the tent for a sitting area. We love it! However, when my kids were young we always had an 8 man tent which allowed us to have air mattresses and our children to have either smaller air mattresses or foam mats so they would have a bit of cushioning and these larger tents provided adequate sleeping space for a family of 4 or 5. However, as our family grew even an 8 man tent would not hold 8 of us even with 4 children under the age of 5, so our older boys preferred sleeping in their own tent pitched on the same site, next to ours. If you are a family of 4 or 5 and want to camp in comfort then I would recommend spending the extra cash and investing in a good 6-8 man tent. Check out our recommended camping tents for 4 people. However, we think we have found some really nice tents that will fit the needs of larger families. Coleman 8-Person Instant Tent The Coleman 8 Person Instant Tent is best suited for 5 to 6 people. It is 14’X 10’ foot print in size and 6’5”center height, is spacious enough to fit 2 queen airbeds and has several large screen windows and 2 doors for ventilation. This tent has plenty of space for one or two adults and 3 or 4 kids. However, you will need to use sleeping bags for the children. Users find this quite durable and easy to set up, especially when set up by two people. I also like the fact that it has lots of windows for ventilation, making for airflow throughout the tent. Tahoe Gear Gateway 12 Person Deluxe Cabin Family Tent The Tahoe Gear Gateway 12 Person Deluxe Family Tent is a spacious tent for larger families and is one of the best camping tents for 6-8 people. 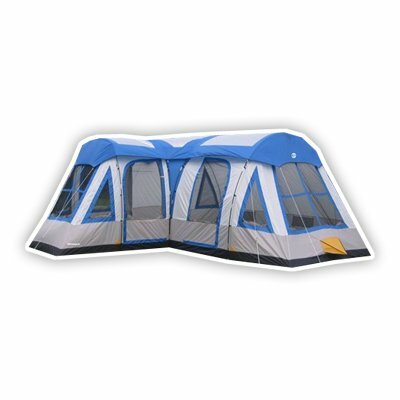 This tent has a 1200mm Polyester tent body and 7’center height; it will easily hold 3 or 4 queen size mattresses. That’s really plenty of room for a family of 6 or 8. I love that this tent has a room divider that allows you to split the tent into 2 rooms, one small and 1 large. And with 2 doors and large windows, ventilation won’t be a problem for your family. The tent fly has a solar shield that will reflect heat and help to keep the tent cool in hot weather. There is also a power cord opening, which allows for electrical hookup. Although you need two people to set up this extremely large tent it is extremely easy to set up and it comes with a good set of directions. 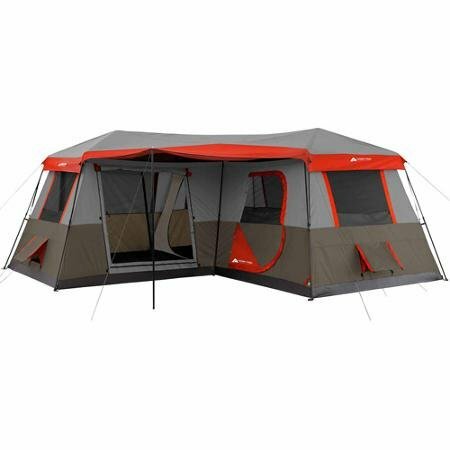 Ozark Trail 16×16-Feet 12-Person 3 Room Instant Cabin Tent The Ozark Trail 16′ X 16′ 12 Person Instant Cabin is a spacious tent, perfect for families with 6 or 8 members. This is a 16’X 16’ cabin tent with large front awning that provides additional shade. It comes with 7 fully closeable windows and offers plenty of ventilation so you can keep cool. 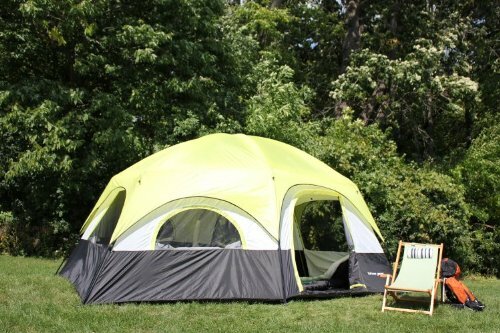 The L Shape of this tent makes it easy to set up in limited campsite space, and the pre-attached poles makes it very easy to set up. I like that this cabin tent also has wall storage pockets that make for handy storage of flashlights, wallets, keys and glasses. Tahoe Gear Coronado 12 Person Dome Family Cabin Tent The Tahoe Gear Coronado 12 Person Family Dome Tent has plenty of space for a larger family to camp. It is a spacious 15’ X 12’ foot print tent with 7’ center height, has 2 rooms and 2 doors. Users like that this tent is big and high enough to allow them move around freely. It comes with taped fly seams and Guy ropes to hold everything secure. It also has chain corded steel upright poles and fiberglass roof poles, which provide extra stability. 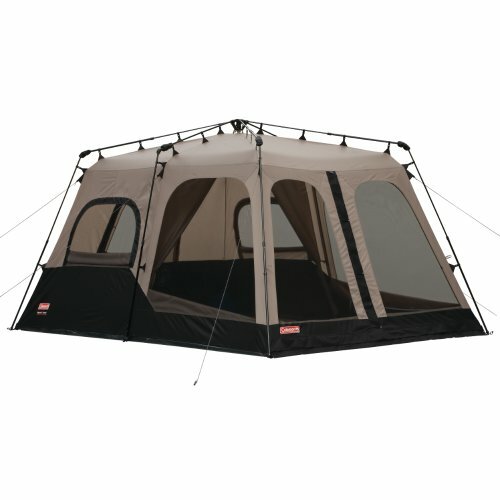 This tent is easy to set up and break down especially by 2 people. 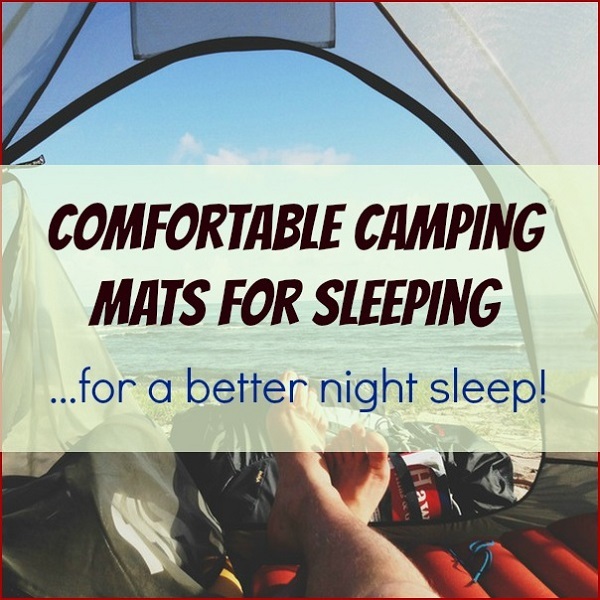 And users like that it is well ventilated providing plenty of comfort for summer camping. 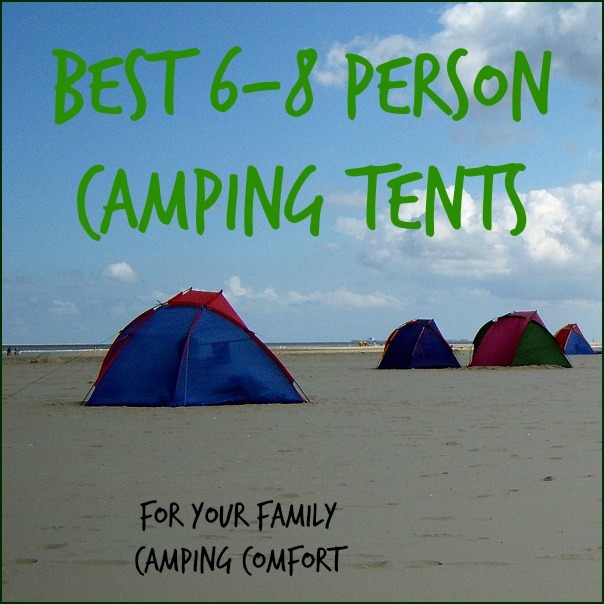 If you are looking for a tent to fit the size of your family and meet your camping needs then one of these 6 to 8 person camping tents may be ideal for your next camping trips. 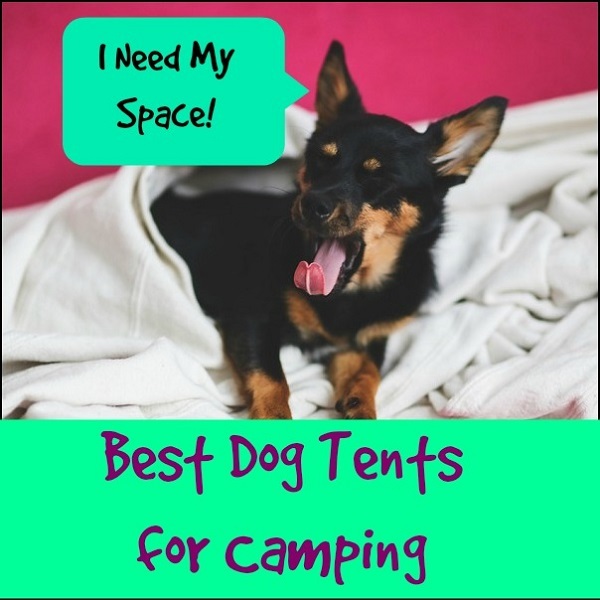 Best Dog Tents for Camping - Our Top Picks! Best Camping Toys for Kids to Play with and Have Fun! Best Kids Camping Flashlights – Functional and Appealing! Best Camping Flashlights – Top Rated Flashlights! 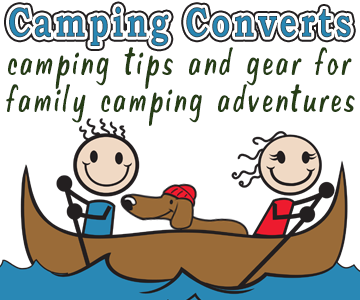 Camping Converts is a participant in the Amazon Services LLC Associates Program, an affiliate advertising program designed to provide a means for sites to earn advertising fees by advertising and linking Product Reviews to Amazon.com.